The mountains change dramatically in the summer. Creeks rush, flowers bloom, animals move. There is wonderful mountain hiking on at Burnie on the trails we built into the alpine. But we also go further afield: Treks through the magic volcanic high deserts of Mount Edziza. Crossing high passes in the Saint Elias Mountains on the Donjek Route. Traversing the lovely Babine Mountains just outside Smithers. And we climb those high peaks under which we ski in the winter. 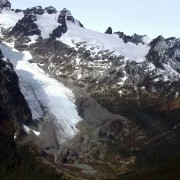 Howson and Kitnayakwa Peaks are high quality alpine objectives. Traverse the valleys and ridges of the Babine Mountain Range from Silver King basin to Harold Price cabin. Mountain goats, moose and marmots also roam these mountains. We may see them on our journey. This is our easiest non-technical trek, but rewarding nonetheless. A demanding ten day trek over high passes through the tundra burning red in fall colours, with the icy giants of the Saint Elias Mountains behind. In Canadian climbing history, the Howson Range has long haunted peoples’ imaginations. Remote and big, with a tragic first ascent. Trek through the mysterious volcanic plateaus, flying from Iskut into Buckley and out of Mowdade Lake. This is Canada’s highest peak, very serious and remote. An expedition for strong mountaineers. 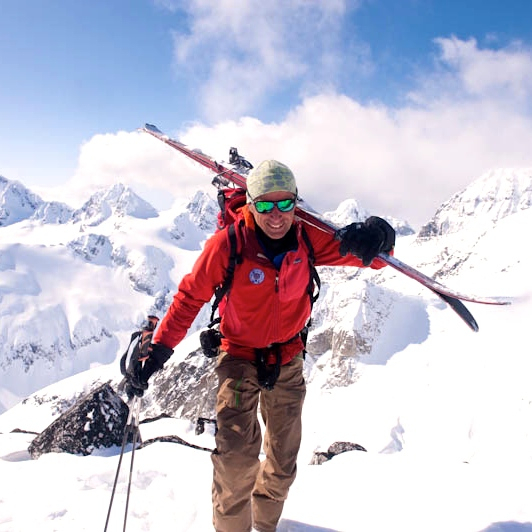 Be prepared for high altitude, heavy loads, big storms and the promise of seeing the Gulf of Alaska from 5,500 metres. The highest point in the magnificent Seven Sisters. The Howsons are a wonderful place to learn mountain skills. Good trails lead to treeline and rock and ice are near. The lodge is a comfortable and secure place with warm beds and good food.